Willows Nursery since the mid 1990’s, growing stock from our own collected seed. on more heavily as it is the most popular variety of Hardy Cyclamen and for good reason. 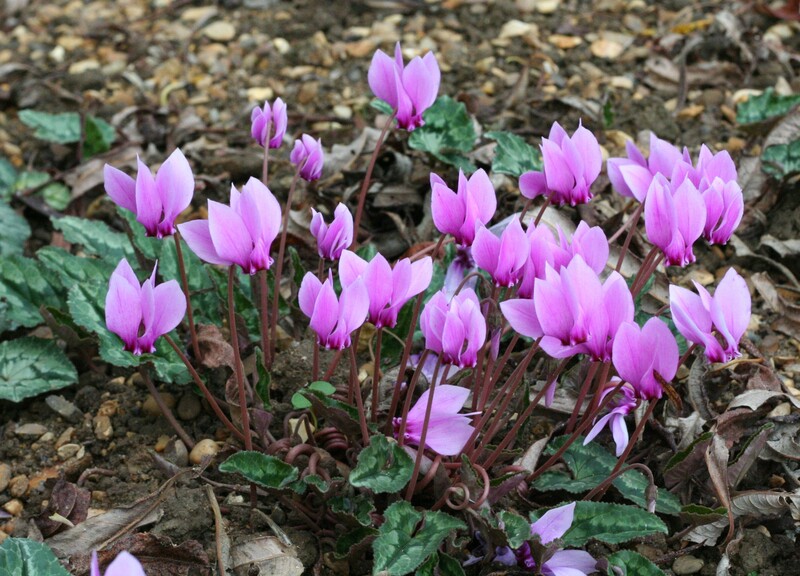 to a level where we can widely offer sensible quantities, we will only be offering Cyclamen Hederifolium for sale. This will still be on the basis of well grown corms, in quantity at good value ! all of the other varieties, for you to look through in case you find it useful. To go to our old site Click Here. Meanwhile, please use the links above to find out more about our Cyclamen Hederifolium and how to buy them. Please contact us if you have any questions about Hardy Cyclamen. 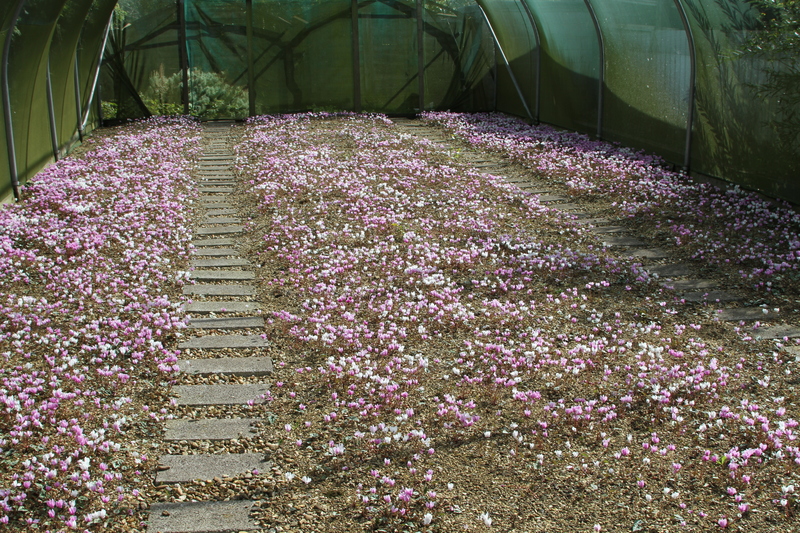 A ‘drift’ of Cyclamen Hederifolium here at Willows Nursery in the autumn. coming and the leaves yet to fully show. pods formed from the flowers that set. The photograph above shows one of our nursery beds – you can see the cotyledon (first seed leaves) of Cyclamen Hederifolium. 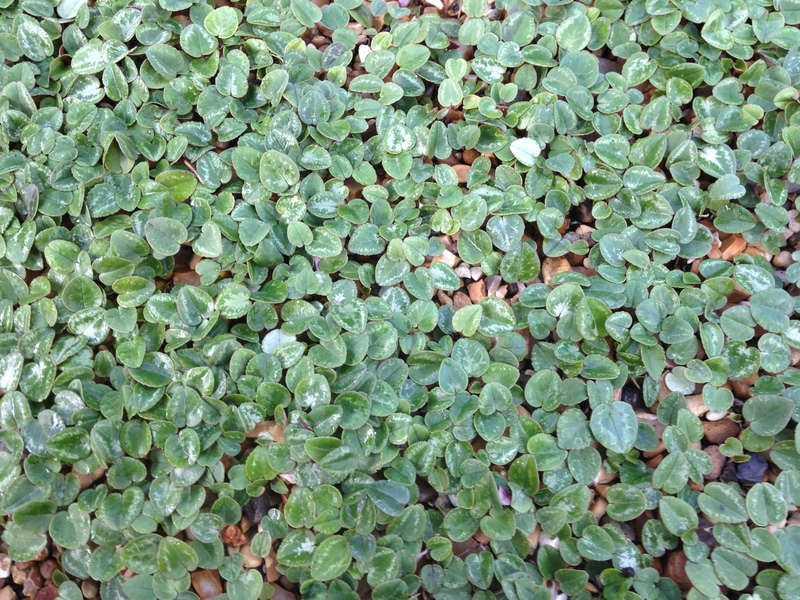 They do not have the ‘adult’ ivy-shaped leaves but they already show the variety of leaf patterns. full flower in late September. All of our cyclamen are grown here at the nursery from our own seed. They are not “forced” for a quick turn-over but are grown slowly to produce firm corms (not full of water). This way they transplant well without suffering. We believe that our collections of corms are particularly good value, allowing you to easily and economically plant a group of corms to establish a ‘drift’ of flowers – the best way to see and enjoy them. Our corms are often twice as old as others offered – they can live for over 100 years so a good start is essential. 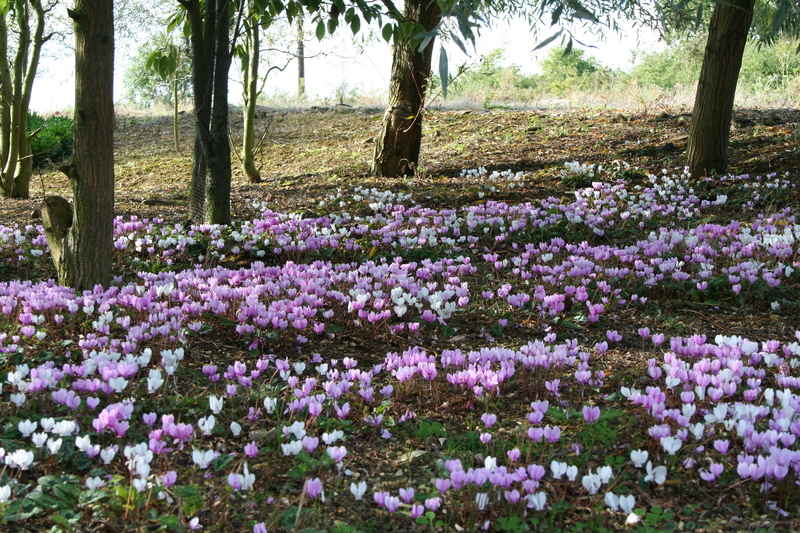 and to disseminate and extend knowledge of the genus Cyclamen and its species, forms and cultivars. It combines scientific study with all the activities of a society for enthusiasts who cultivate the plants’.